Chamomile is a soothing herb known to help bring upon sleep, and it's certainly worked on this little fairy! 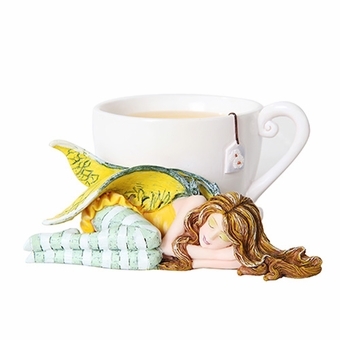 The figurine depicts a lovely pixie curled up, fast asleep next to a warm mug of tea. The fae wears a yellow dress and has matching wings, and her auburn hair spread out around her as she slumbers. 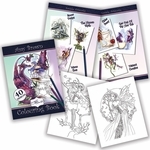 The perfect addition to any collection! Size: 4 1/2" x 4" x 2 1/4"